Do you ever get frustrated with high energy bills or a heating/cooling system that isn’t working correctly? Or maybe you’ve reached out to HVAC specialists in the past and weren’t fully satisfied with their assistance or pricing. 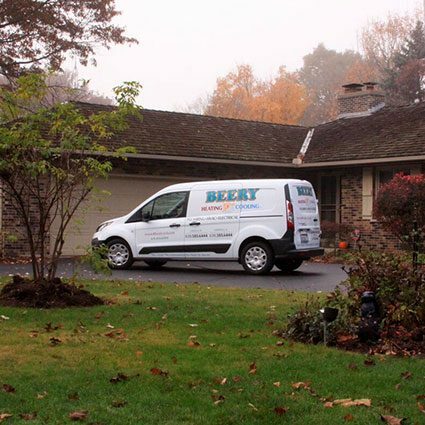 Beery Heating and Cooling installs, repairs and replaces furnaces/boilers and air-conditioners for homes in Aurora, IL. We are creative crafters of indoor air environments that become as personal to you as your choices of home décor. It starts with detailed profiling of your indoor-climate preferences. We then note everything about the spaces you’ll adjust to your comfort. Just a few of many factors we inspect include windows and rooms, shades and window treatments, and insulation and ductwork. We compile that information to develop a greater idea of what your personalized home system will need to achieve. With those details marked and organized, we review your available options with you, including how you might want to approach aspects such as humidification, temperature control and heating/cooling efficiency. Heating and cooling technology is always changing. With advances in science and equipment, the installation, repair and replacement of furnaces/boilers and air-conditioning units can become more complicated. It’s important to work with helpful, skilled technicians who are current with today’s HVAC. Beery Heating and Cooling ensures your daily comfort in your Aurora home by equipping you with optimal climate control. Having served the Aurora area since 1980, we’re familiar with your city’s neighborhoods and its changes in residential heating/cooling through the years. Fully licensed, insured and bonded, we provide fast and efficient service with premium workmanship. We also install quality heating/cooling equipment that will give you years of reliable, efficient performance. All of our service in Aurora is backed by a 100% satisfaction guarantee. In addition, as our Aurora customer, you can take advantage of our Planned Maintenance Program after our first service visit. This special contract includes same-day service, no extra charge for after-hour visits and preferred pricing for our heating/cooling services. Make us your resource for furnace/boiler and air-conditioning installation, repair and replacement in Aurora. Call (630) 585-6444 today for more information! Our professional services include much more than furnace/boiler and air-conditioning work. We’re also fully trained and equipped to install, repair, maintain and replace your Aurora home’s plumbing and electrical systems. We are just as proficient with repair, replacement and maintenance for electrical systems for homes in Aurora. Our technicians keep your electrical equipment running longer and more efficiently. We also offer you discounts on parts and labor. Call (630) 585-6444 for more details about our plumbing and electrical work for Aurora, IL. Beery Heating and Cooling provides premium skill and consultation for commercial heating, cooling, plumbing and electrical systems in Aurora as well. Contact us at (630) 585-6444 to discuss the many ways we can serve your business.